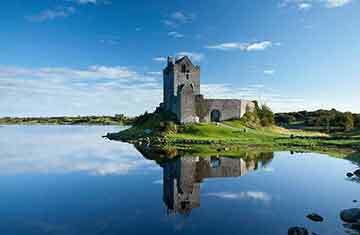 We offer extended personalised guided tours throughout Ireland tailored to your needs. Have a look at our itineraries and if you are interested in planning your trip to Ireland with us, please do not hesitate to contact us. 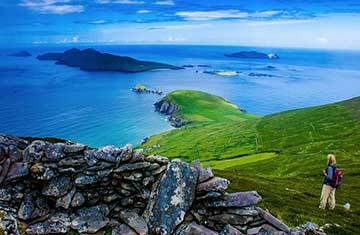 We organise private tours of the Dingle Peninsula. 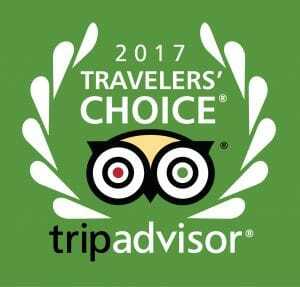 Enjoy a full day private tour or a private four hour tour with us. 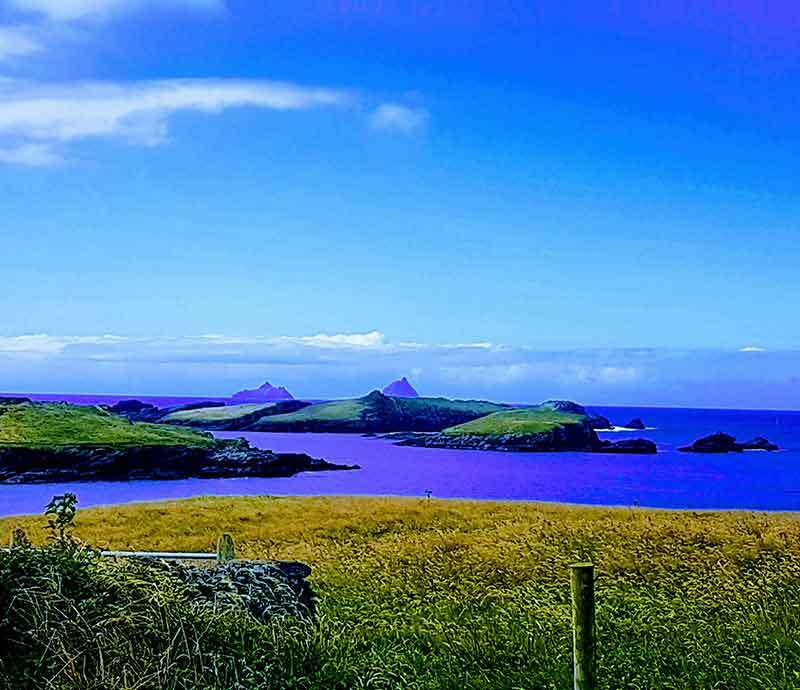 Discover the Dingle Peninsula through the eyes of a local. This is a tour not to be missed when visiting The Dingle Peninsula. 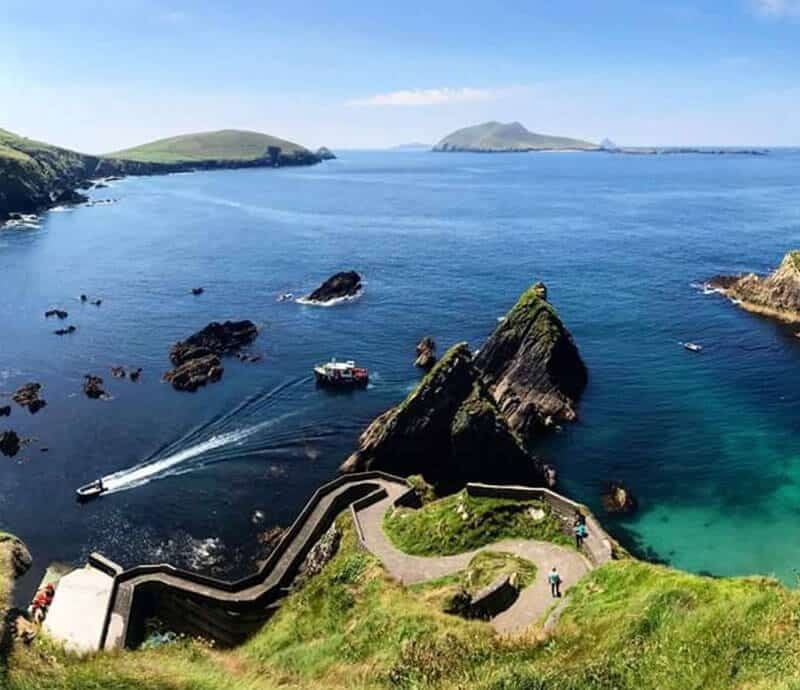 Experience the magic of the Dingle Peninsula once cited as ‘the most beautiful place on earth’ by the National Geographic. 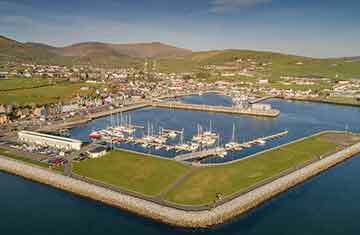 Our Dingle Peninsula 3 hour group tour offers magnificent archaeological and sightseeing tours of the Dingle Peninsula. This day tour needs no introduction. One of Ireland’s most famous drives, reaching places no bus tour can reach and most self guided tours will miss. 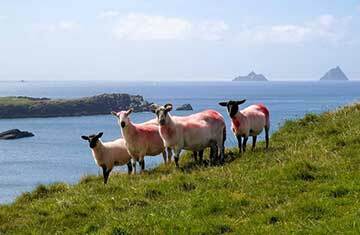 Enjoy magnificent views of the Skellig Islands. 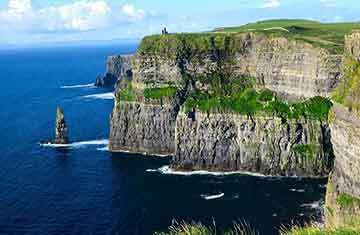 Another jewel of the Wild Atlantic Way, standing well over 650 feet above the Atlantic, our private day tours to the Cliffs of Moher from Dingle is a great way to see the stunning west coast of Ireland. 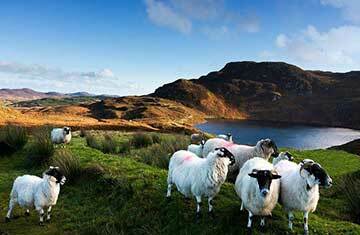 Enjoy our 8 day private tour along the West & South West coast of Ireland. The west of Ireland has long been a magnet for artists, writers, and the best of traditional Irish music. Enjoy the rugged coastline, rolling hills and sandy beaches. 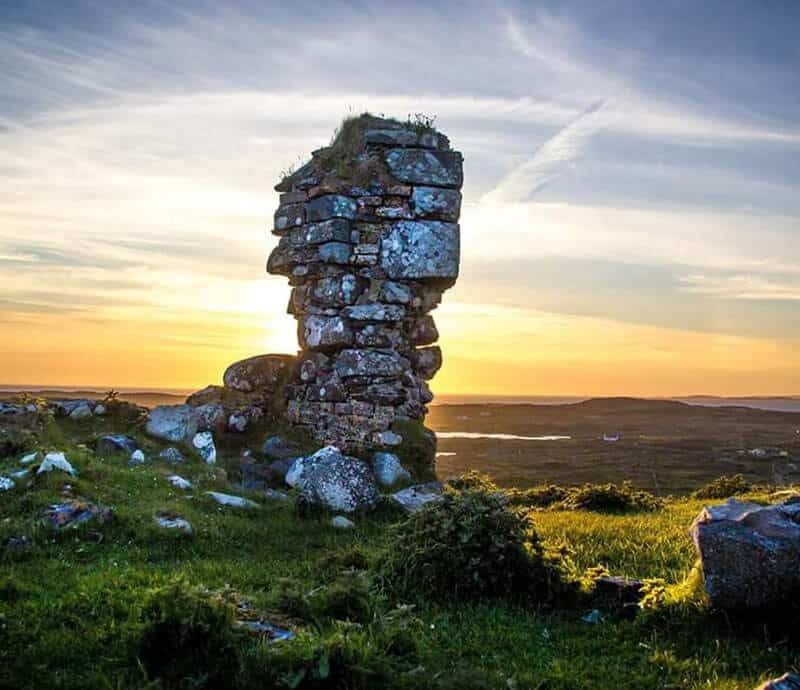 This exclusive tour offers you the opportunity to retrace the footsteps of Ireland’s Early Christian Saints and some of Hollywood’s Iconic Stars from the 20th Century. 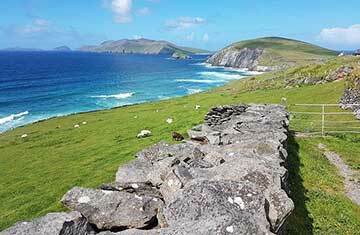 This tour includes a moderate 5 km walk along the west coast of the Dingle Peninsula. We organise private photography tours of the Dingle Peninsula. 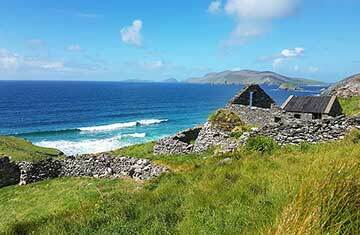 Enjoy a full day private tour of the Dingle Peninsula with us. 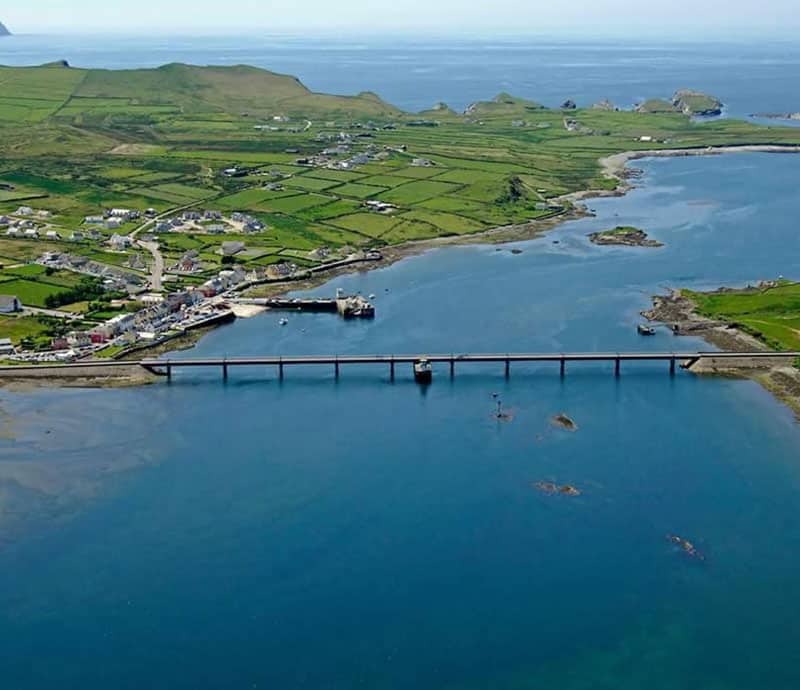 Discover the Dingle Peninsula through the eyes of a local. This is a tour not to be missed when visiting The Dingle Peninsula. 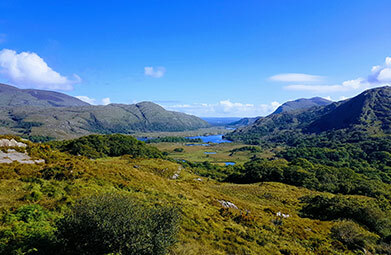 Experience Killarney through the eyes of a local private guide! This private day tour includes Ross Castle, Muckross House, Torc Waterfall, The Gap of Dunloe and many more great stops. All our tours can be customized to suit your needs. 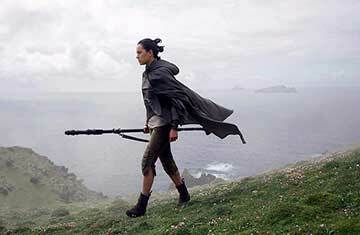 Our Dingle Peninsula Star Wars tour is not to missed. 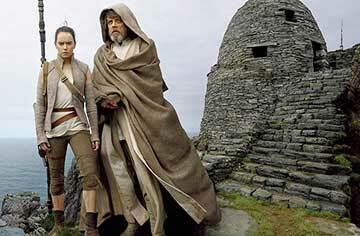 Experience the setting of Episode III The Last Jedi. 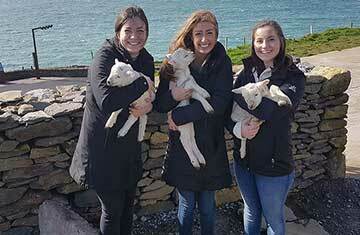 A Fantastic tour for all the family while also taking in the beauty of The Dingle Peninsula. Enjoy the full force of our two day Star Wars tour. This private tour will take you off the beaten path to discover the real back roads and people of The Emerald Isle. This two day private tour has something for all the family. shown on this site,Please contact us. We had a wonderful tour with Colm of Dingle Slea Head Tours. He was knowledgable, cordial and flexible, taking us to places with breathtaking views that we would have never found on our own. This tour was definitely a highlight of our 12-day Ireland trip. Great experience on a half-day private tour of the Dingle Peninsula. Beautiful scenery and lots of local knowledge. Will definitely book with them again. My wife and I took the tour of the Dingle Peninsula with Gillian as our tour guide. The weather was awful, torrential rain for the whole tour. Even with the miserable weather Gillian remained up beat throughout the day. She shared some incredible information about the area and was clearly proud of everything the Peninsula has to offer. She made the trip well worth it and my wife and I had a great time. This tour was absolutely a highlight of our trip. I have to say, this tour is an exceptional value. I would recommend them to anyone without hesitation. Thanks again! We booked a tour with Gillian and had the best time. Bad storms were passing by and there had been very strong winds the night before. It gave the Dingle Peninsula a distinctive "wild" character. Gillian stopped frequently to give us a taste of the different vantage points and we were mezmerized by crashing waves. There was so much ocean spray in the air that Gillian had to stop to clean her windows. The car had been sparkling when we started the trip! Definitely a high point of our trip to Ireland! Our tour and guide, Colm, were wonderful! The van was comfortable and the tour guide so knowledgeable. We went to many different places, beehive huts, held a lamb, monasteries, cemeteries, saw so many beautiful places.